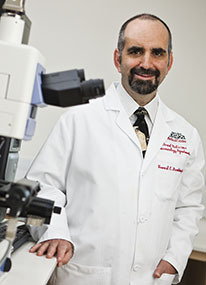 Howard E. Gendelman, M.D., is the Margaret R. Larson Professor of Internal Medicine and Infectious Diseases and chair of the UNMC department of pharmacology and experimental neuroscience (PEN) and principal investigator of federally granted projects designed to produce successful long-acting nanoformulated antiretroviral drug therapies in the UNMC College of Medicine. Dr. Gendelman's vision for the NNPP is to develop a functional enterprise that will take basic science discoveries and move them rapidly to human use. Specific interests reside in efforts geared towards the eradication of HIV infections and the delivery of drugs to sites of central nervous system injury. As a world-renowned scientist, Dr. Gendelman has extensive expertise in proteomics, immunology, molecular neuroscience, infectious diseases, neurodegenerative disorders, neurophysiology and viral neuropathogenesis. 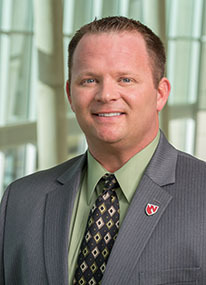 Adam Szlachetka, D.D.S., is the Operations Manager for the NNPP. His role is to develop and execute strategies required to produce nanoformulations according to GLP and GMP regulations. He oversees the planning, implementation, and documentation of all formulations in the pre-production and final production facilities. Lara Slack is the Quality Assurance Consultant for the NNPP. She is committed to developing and maintaining a modern and robust quality system to govern the use of the GLP pre-production facility and the GMP final production facility. The quality and safety of products for the patients is her primary concern. 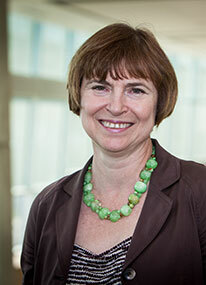 JoEllyn McMillan, Ph.D., Associate Professor, Department of Pharmacology and Experimental Neuroscience, is an experienced toxicologist and will provide expert guidance on transfer of nanoformulations from development to compliant production. Dr. McMillan's knowledge is essential for the scale-up work produced by the NNPP. Her research interests lie in developing nanoformulations of antiretroviral drugs and testing these in cell-based and animal model systems. In collaboration with Dr. Howard Gendelman, they are developing long-acting nanoformulations of antiretroviral drugs for targeted and cell-based drug delivery for treatment of HIV-1 infection. The development of long-acting nanoformulations of antiretroviral drugs would simplify drug dosing regimens, extend dosing intervals, reduce unwanted drug side effects, and improve drug penetration into viral sanctuary sites, thus reducing development of drug resistance. 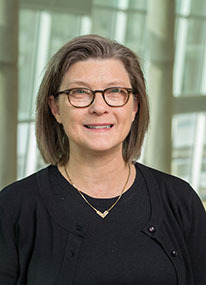 Tatiana Bronich, Ph.D. is the co-director of the Center for Drug Delivery and Nanomedicine (CDDN) and is a professor in the UNMC College of Pharmacy. Dr. Bronich's research interests are in the area of self-assembling polymer materials and applications of these materials in medicine. Of special interest is the design and study of novel types of functional materials based on complexes formed between block ionomers and oppositely charged polymers and low molecular weight amphiphilic molecules. These systems are of great fundamental importance as models of biological systems formed as a result of self-assembly processes. In addition, her recent work has expanded to include the application of these amphiphilic block copolymers and block ionomer complexes in drug delivery to treat cancer and the development of the polycation-DNA complexes for gene delivery.